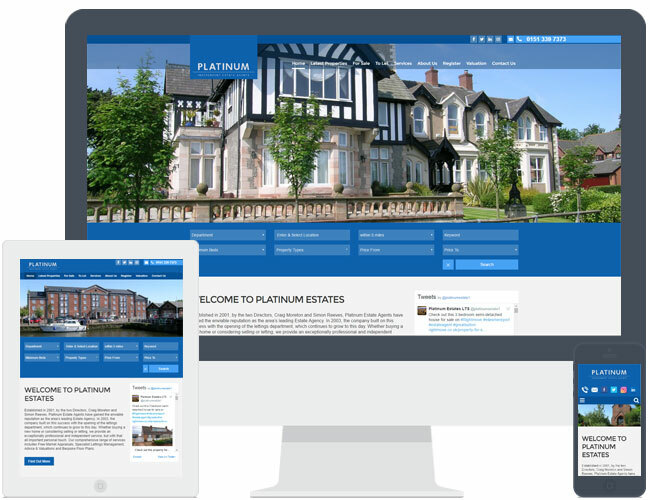 Platinum Estates upgraded their Expert Agent Pre-Design website, formally theme R1, to the new R7 . They chose to remove the banner text on the homepage and include a Twitter widget alongside the Welcome text. Platinum Estates provided local photography for use within the slideshow banner.